Sketchfab Community Blog - Physically Based Rendering is here! Real-time 3D has always been a trade-off between realism and speed, and relied on approximations of physical reality. 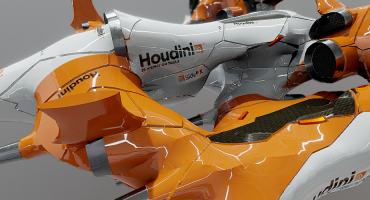 Using modern algorithms and more powerful hardware, Physically Based Rendering (PBR) can now provide a physically accurate description of materials and the way that light interacts with them. This results in much more predictable behavior of models in their environments, and allows a more robust workflow for artists. Because of this, PBR is becoming the industry standard for advanced 3D shading, and it will be easier to match the looks of a model on Sketchfab with your other tools such as 3DS Max, Unreal or Unity. Starting today ALL Sketchfab users can use PBR on their models and achieve a level of realism that was previously hard or even impossible to achieve in web-based 3D graphics. Are you eager to try our new renderer? We recommend you first read Allegorithmic’s excellent Comprehensive PBR Guides and Marmoset’s PBR in Practice to get a deeper understanding of the differences with ‘traditional’ shading. Next, head over to our new Help Center section on PBR to read about the new options and map types. If you have any questions, please post them in the Support forum. Please note that our existing renderer (which is now called ‘Classic’) will still be available and will continue to be fully supported. The PBR overview page has many more examples of works that already use the new level of realism. So, what do you think? Are you ready to try PBR for yourself? Tag your new works with #PBR and we’ll do a roundup next week!